Have you ever heard of the Fibonacci Series? How about the Golden Mean, or the Golden Ratio? Well, despite my nerdy engineering background — neither had I until I read Dan Brown's infamous The Da Vinci Code. 1, 1, 2, 3, 5, 8, 13, 21, 34, 55, 89, 144…..
Do you see the pattern? To get the next number in the sequence, simply add up the previous two numbers. And the Golden Mean or the Golden Ratio is the number that shows up when you divide one of the numbers in the sequence to the previous number. If I were to divide larger numbers that show up eventually in the sequence, I would start to get a very close approximation for the Golden Ratio — which is 1:1.618033…. 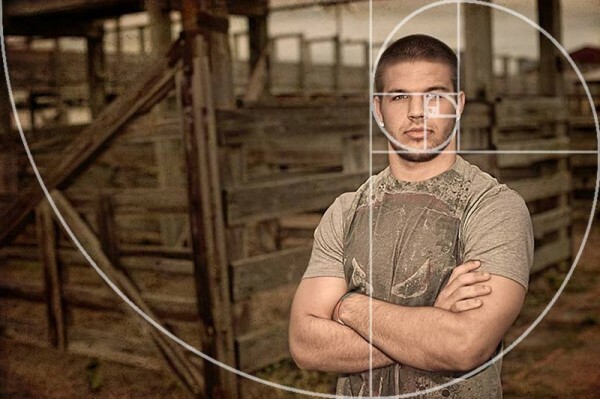 This Golden Ratio is Everywhere! Turns out, this Golden Ratio is also called the Divine Proportion because it shows up everywhere! In nature we find the Golden Ratio in everything from plants, fish, insects, and yes, even the human body. Not only that, there's a good number of people that believe the Golden Ratio has a link to what humans find beautiful – so you find the golden ratio in made-made realms as well…such as architecture, great art, and music. So…what does this have to do with photography? Well, do you remember the AHA! moment you had when you learned about the rule of thirds? It was simple, right? Stop placing your subject in the centre of your frame, and people will like your images better. I know for me that one little tip from a composition book instantly made me a better photographer than 95% of all the photographers camera owners in the world. And now I'm going to go out on a limb here and say that the rule of thirds is actually just a crude approximation of the Golden Ratio and that it's the application of the Golden Ratio that allows your images to make that big impact on the viewer. Yeah but, the Rule of Thirds seems so much easier! Though I'm sure with a lot of study and practice, you could learn to frame your images to line up with the Golden Ratio lines and intersections…and it might even be something that moves you and your photography to that next level. But…in the mean time, there is an easier way – thanks to Adobe Lightroom 3. Lightroom 3 has a built in “Golden Ratio Overlay” option where you can see the Golden Ratio lines and intersections when cropping your image. Just like they have done in the past with the rule of thirds (which they also still use, of course). To learn more about the Golden Ratio and to see some examples of it's use, be sure to check out this great article by James Brandon on the Digital Photography School website. At the end of the article James even gives away his PNG overlay of both the Fibonacci Spiral and the Fibonacci Grid – which you should be able to use with most image editing programs. I want you to add the Golden Ratio to your composition tool box. Try it, test it, rinse and repeat. And, most importantly, I want you to send a tweet to James, thanking him for writing his great post on the dPS blog and for giving you those sweet Fibonacci files for free. You’re welcome Bob. It’s nerdy stuff, but fascinating indeed…..